Giant flat screen TV’s, in the 60s! Ray Bradbury describes how the original Fahrenheit 451 novel came about, when he was taking a walk with a friend down Wilshire Blvd. in his home town of Waukegan IL. He was hassled by a police officer who asked what he was doing, to which Bradbury replied: “putting one foot in front of the other”. Apparently the police officer didn’t appreciate the humour, and became suspicious of him and his friend. The ensuing argument resulted in Bradbury reassuring the police officer that he would ‘never walk again’. He was so incensed by this invasive encounter, that he went straight home and wrote a short story about it called ‘The Pedestrian’ in which the lead figure gets in trouble for a similar reason. Ray Bradbury tells in several interviews, that the hero of this short story evolved into Guy Montag, the central figure of Fahrenheit 451, and the novel was born. 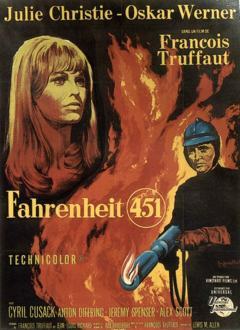 Although Fahrenheit 451 has become a modern classic, it was not an instant hit. Rather, it has sold consistently over the decades since it was written. Bradbury says: “The history of Fahrenheit is the history of all my novels. I’m creeping up on the public very slowly! the initial edition sold 5000 copies in the first year, every year after that it sold 2000 copies hardback”. Ray Bradbury was a passionate lover of literature, and the destruction of the written word is clearly going to be a potent subject for him. He says that the main focus of Fahrenheit was on the dangers of the encroaching mass media, the dumbing down of the masses, and the resultant death of literature, and of the glories of the human experience which it has the power to convey. In a recent interview, many years after writing the novel, he describes how “We’re being fragmented” by the relentless encroachment of 10 second news sound-bytes and fast-cut commercials, which destroy our ability to concentrate. He describes the state induced by this onslaught as “You have the feeling that you’re thinking, but you’re not thinking”. When pointed out to him in a seminar that he had once told the New York Times “My business is to prevent the future”, and that these things had still come to pass, Bradbury’s good-humoured answer was: “well, you didn’t listen!”. He is also disturbed by the rather ironic conversion of his book to electronic format, with the Kindle version, which he describes as having the smell of burnt kerosine. In 1966 the novel was translated into movie form by François Truffaut, and when interviewed, Bradbury has been pretty upbeat about the result. (in contrast to many authors it seems, who are somewhat underwhelmed by the translation of their work to the silver screen). This film is definitely a period piece, but because it relies on atmosphere and great characters rather than special effects, it has dated extremely well, and makes potent viewing today. I watched it for the very first time this year and it made a big impression. If anything it has become even more relevant than when it was written – giant flat-screen wall TVs dominate the homes with inane brainless programs that turn the mind to jelly. 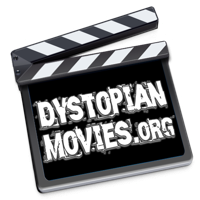 Guy Montag, the central character goes through a fascinating transformation, from one who is steeped in the totalitarianism of the day, to discovering the spark of some lost treasure and coming to question the values on which his society is built.